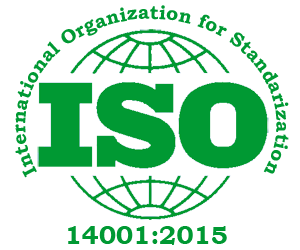 ISO 14001:2015 is applicable to any organization, regardless of size, type and nature, and applies to the environmental aspects of its activities, products and services that the organization determines it can either control or influence considering a life cycle perspective. Lifecycle thinking when considering environmental aspects. Improves environmental performance, saving money, reducing waste and preserving natural resources. Improves risk and opportunity management ensuring continual improvement is systematic. Improves lifecycle management helps identify specific product improvements. Helps comply with legislation, reducing the risk of fines and adverse publicity. Improves corporate responsibility to meet supply chain requirements. Motivates and engages staff with more efficient processes. Phase 1: Establishing the environmental goals (policy). Phase 2: Planning the elements of the EMS. Phase 3: Implementing the EMS. Phase 4: Checking for any problems and correcting them. Phase 5: Evaluating the effectiveness of the EMS and improving it, and launching into a new cycle of improvement. Effective auditing is a highly specialized skill and IQMS trains key personnel from your organization to be successful internal auditors. We have training programs that range from 1 to 3 days. All programs can be customized to meet any unique needs that you may have. How to take corrective action. Architecture of the ISO 14001 Documentation. Learn how to Conduct Internal Audits, Audit Process and Cycle. How to Seek Objective Evidence. Internal Auditor Certificate (upon successful completion). Please contact us at your earliest to jump start your Quality Drive. All of our training programs can be customized to meet your organization’s needs. Our programs can be scheduled for a half-day seminar, full-day seminar, or multiple-day seminars.